Welcome to Flashback Friday – Where we share previously published articles which were reader favorites. 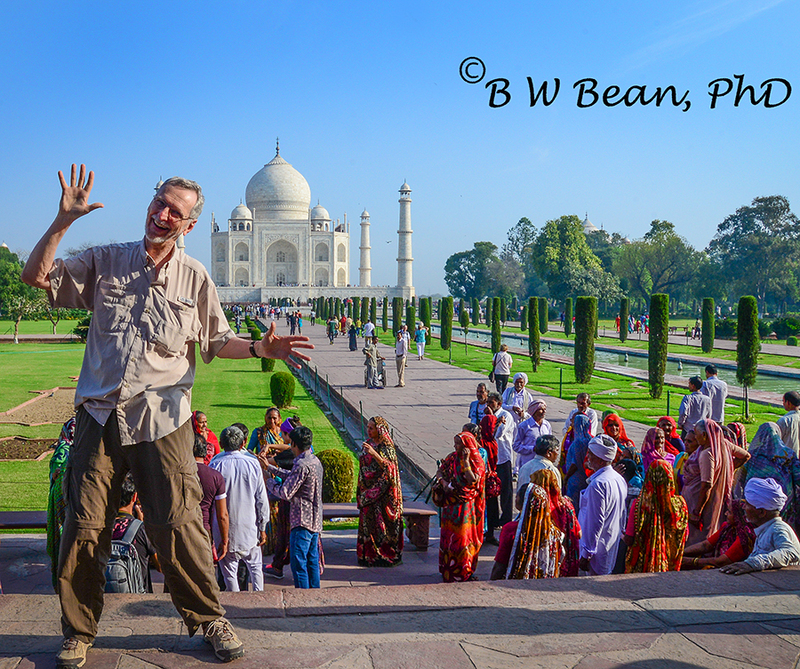 Hope you enjoy this Friday’s article, originally published in 2014, about a brief encounter in India. There’s a small village, one of thousands I am sure, in the country of India. This one is located just outside Ranthambore National Park, a Tiger Preserve in Central India. The village is nothing special. It has no major temple. It’s certainly not a tourist destination. It has no particular claim to fame. It’s a simple village. 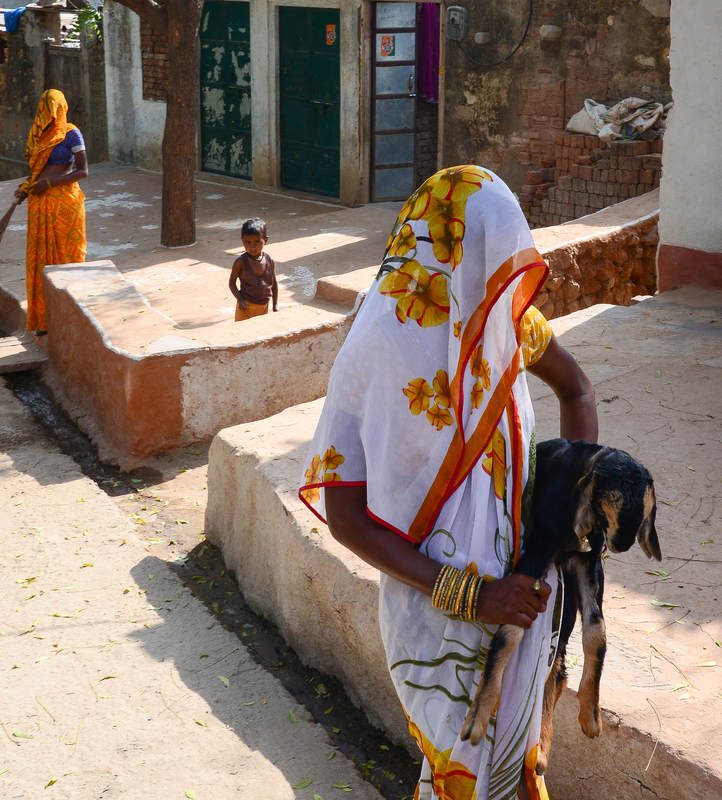 Still, a walk through the village offers an opportunity to catch a brief glimpse of the life and the people of India. 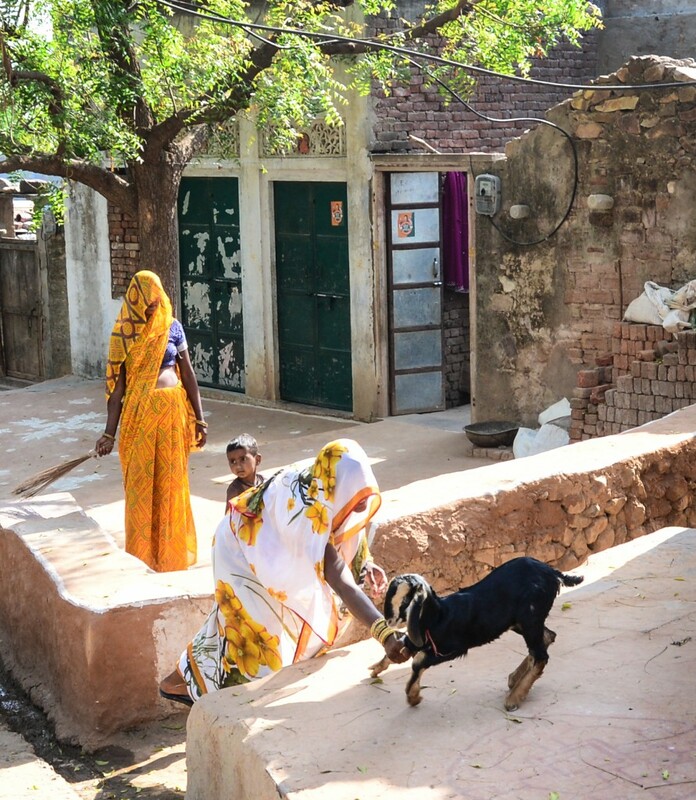 Here is a short photo series of a small Moment In Time in this tiny Indian Village. Moments prior to my taking the image above (of course I didn’t have my camera ready) this young lady had opened the door to her home and her black and tan baby kid goat had escaped. Hurriedly, she chased it into the street while others looked on. Eventually she was able to successfully capture it. Popping the kid under her arm, she headed back toward her home. That’s when she noticed my photographic interest. 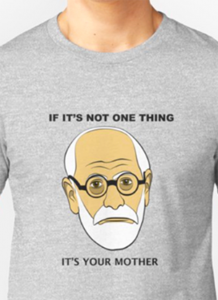 Order Your Psychology T-Shirt Today! 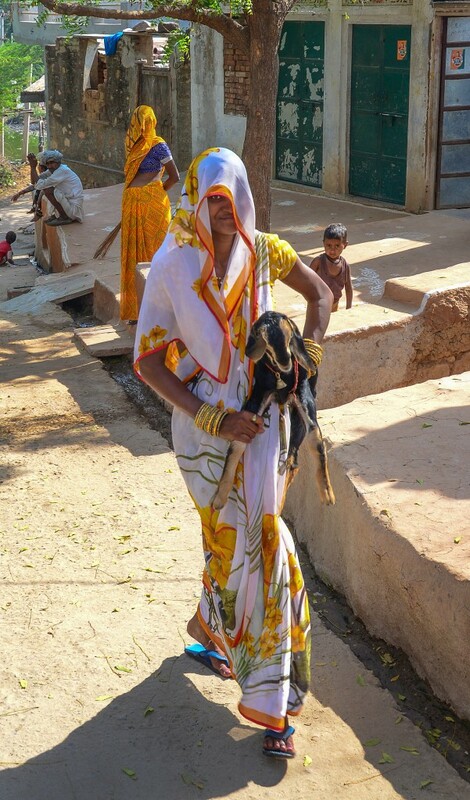 Smiling, and looking a bit sheepish (if that’s possible while carrying a goat) she trudged on. Yep, she was smiling. And very well dressed for a lady chasing goats. The little guy behind her was taking this all in as was the other woman whose head was entirely veiled. It was just a brief moment of eye to eye contact on a dusty street following an attempted goat escape. And then, just as quickly as it had begun, she and the goat were gone. 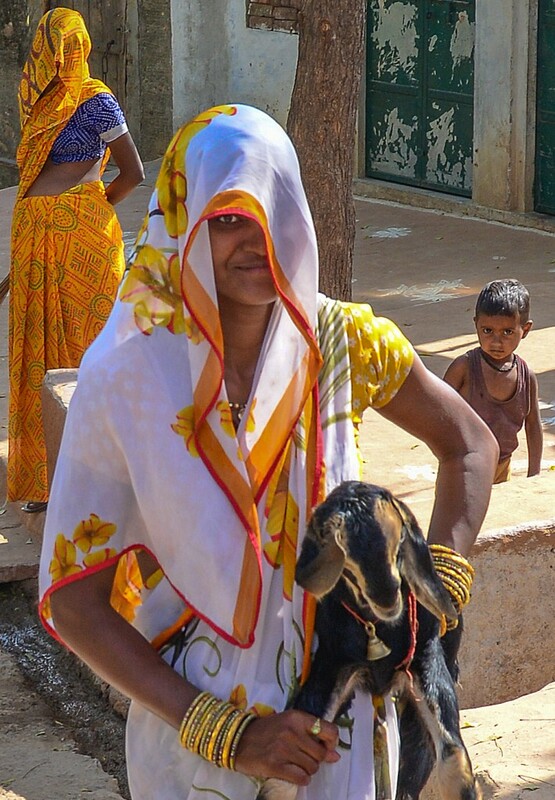 A brief, momentary inter-cultural encounter in a small village in India. Travel With An Open Mind And Heart – And Enjoy The Adventure! Want More Great Articles About India?